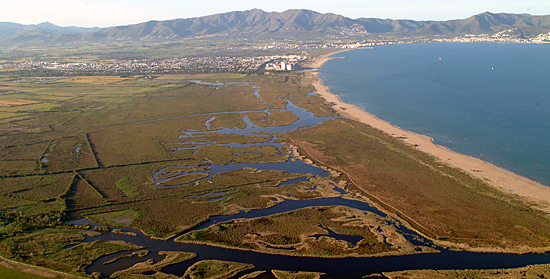 The other important offer of the municipality of Castelló d’Empúries is the extension of the Natural Park of Aiguamolls de l’Empordà, with 4,78 hectares, between Rodes mountains to the north and Fluvià River to the south. 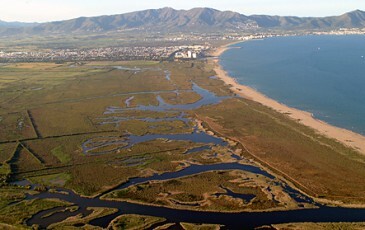 Because of its geographic location the marshes has become an important stop and rest point for thousands of birds that make long travels of intercontinental migration between the north of Africa and Europe. Actually, one can observe 324 species of birds and almost 80 nidify regularly. The most important species of water birds are bittern (Botaurus stellaris), purple heron (Ardea purpurea), marsh harrier (Circus aeruginosus), roller (Coracias garrulus) or lesser greyschrike (Lanius minor), besides other species of marshes fauna and vegetation. 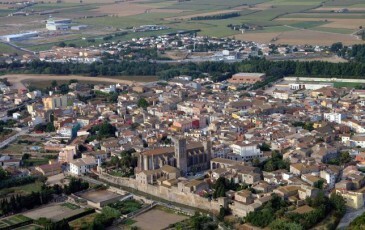 Castelló d’Empúries, a village dated in the ninth century, became during the Middle Ages a flourishing town since it was converted into the county capital of Empúries. From that period date the most important buildings and streets of the monument district, that have kept the traditional appearance, like porticoed squares, Bordell Street, the handicrafts districts and the ‘Call’ or Jewish quarter, reminiscences from the medieval town planning. 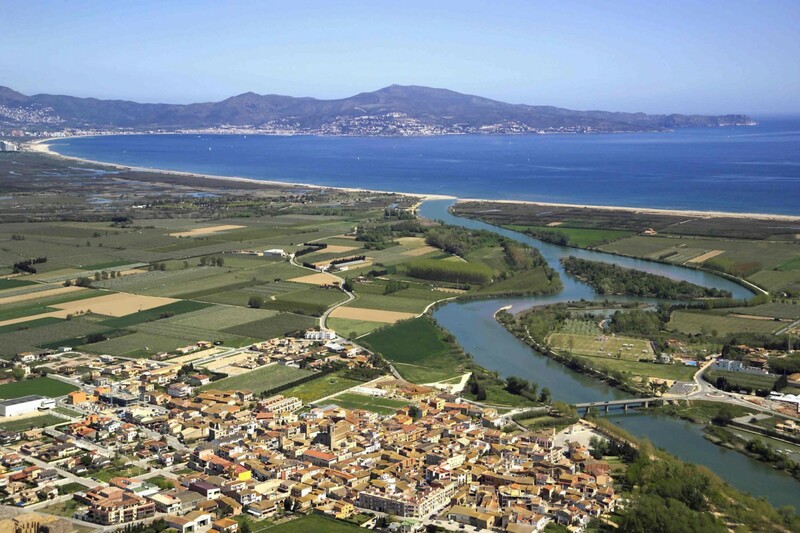 Surrounded by areas of authentic natural beauty and bordered by the River Fluvià, Sant Pere Pescador keeps a perfect balance between land and sea, between the greens and yellows of its orchards and the blue and gold of the village’s extensive beaches. Immerse yourself in the history and culture of our village, take a walk through the countryside and discover the wide-open landscape on the banks of the River Fluvià, with its apple orchards and nature trail, and its glimpses of windsurfers and sand-dunes… discover all the details that go together to make up the everyday life of this village. 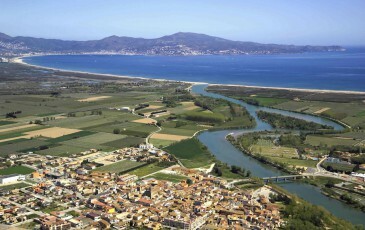 La Escala, the southernmost coastal town in the Alt Empordà is located in the southern end of the Gulf of Roses, where populations are also Roses, Empuriabrava and Sant Pere Pescador. La Escala is not a resort style Roses the Empuriabrava. 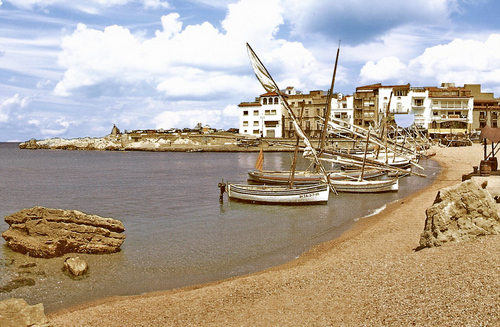 While it is true that also attracts tourists to spend their holidays here, this town of just 8.000 population has preserved both the aroma and the tradition of a typical fishing village. If you pay attention, one can notice the importance of fishing and fish processing have been and are for this small town on the Scale: eg, The items related to this world are present in the Barques beach, with fishermen’s houses, at port, in architecture, in the decoration of many bars, restaurants and private homes and in the air we breathe in the village of La Escala. When talking about la Escala and their traditional fishing, is inevitable not to mention its flagship product: Escala anchovies; this is a product that enjoys a high degree of popularity not only in the Costa Brava, but in Catalonia and Spain. 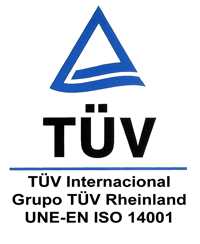 Still, faithfully following a tradition that dates back to centuries-old, anchovies are produced in many companies and factories located in La Escala. This fish can be purchased directly from the manufacturers of La Escala or ordered in a restaurant accompanied by pa amb tomaquet (tomato bread), an accompaniment that is a must in any self-respecting Catalan meal. Source:Don Travel-The Online Travel Guide. Salvador Dalí decided, to early 60, build a museum inside the ruins of the old Teatro Principal de Figueres. Today is a reality. 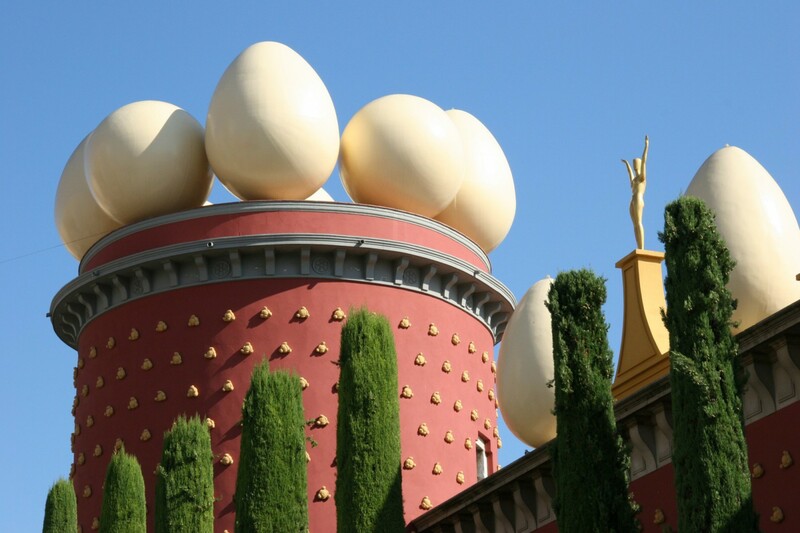 In 1961 The mayor proposed to Salvador Dalí to a museum dedicated to his work. The painter was caught by the charm of the theater spectrum and accepted him as the future headquarters Dalí Theatre-Museum: …I found it very suitable, for three reasons: the first, I am an eminently theatrical painter; the second, because the theater is right in front of the church where I was baptized; and the third, because it was in the lobby lounge of the theater where I gave my first exhibition of paintings. To collect his work in the old theater, The artist was given the task for more than a decade, intervening and designing the smallest details. The inauguration of the Teatro-Museo Dalí occurred 28 September 1974. One of the most visible elements of the museum is the lattice structure as transparent geodesic dome which crowns the building, Salvador Dali’s idea by the architect Emilio Pérez Piñero (1935-1972). The dome has become an emblem not only of the Theatre-Museum and a symbol for the city of Figueres. It seems that the beginnings of this Greco-Roman city dating from about 550 bC. This is a Greek enclave commercial. Is the point of entry and exit of the Iberian Peninsula to the Greeks. This was a society and a very dynamic economy. During the BC s.II, Romans also built an important enclave, coexist perfectly with the Greeks. With the arrival of the Roman Empire, Barcelona and Tarragona become flashpoints, thus beginning the decline of late sI Ampurias AD. 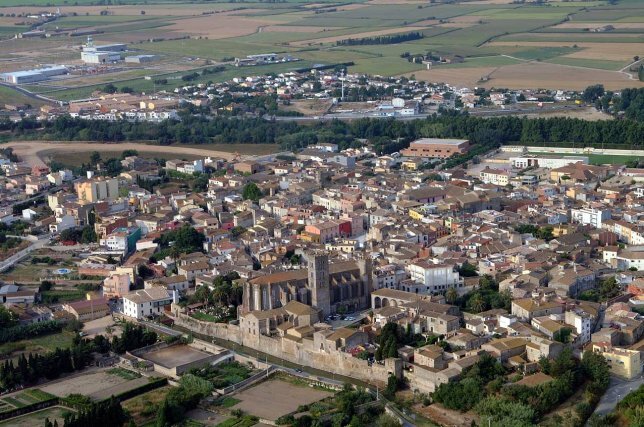 At the end of the third century, insecure population leaves the city and settled in Sant Marti d’Empúries, fortified with the right characteristics for the time. 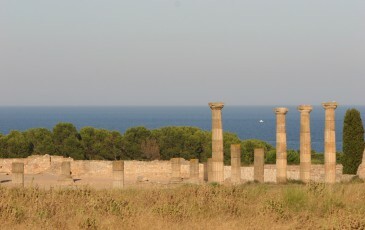 The excavations of the ruins began in 1908, and continue today. 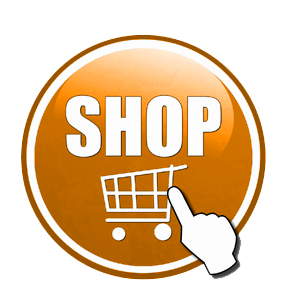 Is uncovered much of what was the Greek city, the forum and Roman walls and some domus.. Curiosity: Excavations began in the year 1908, were promoted by the Barcelona Museums Board, which was part of the Barcelona. 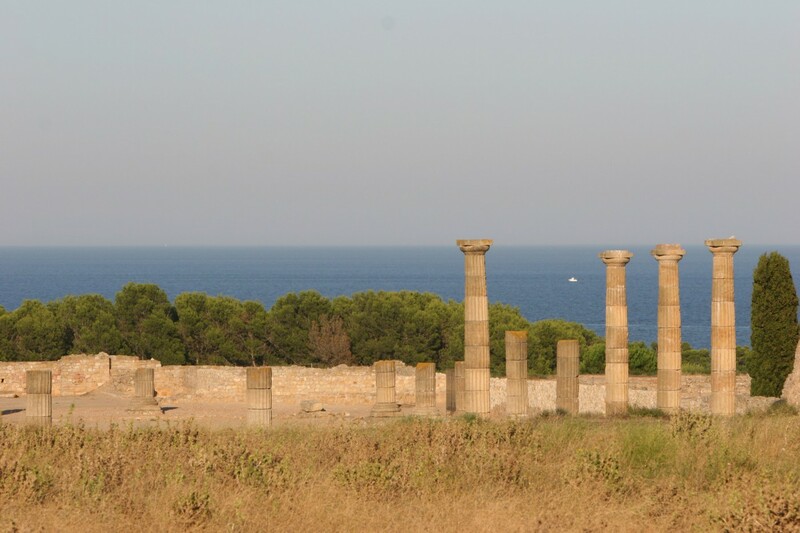 Today, is still the Barcelona the owner of the archaeological site. We are conducting a campaign to promote ruins which consists of some special tours, in which the guides interpret lords or ladies of the Roman nobility, dressed as such and explaining, First Person, history and reality of the city.